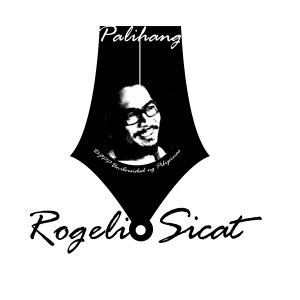 From over 100 applicants, fifteen (15) writing fellows have been chosen for the 4th Rogelio Sicat National Writers Workshop to be held at Alfonso, Cavite on May 26-29, 2011. This workshop is handled by both the DFPP and the Cavite Young Writers’ Association. The workshop will be conducted by pillars of Philippine Literature Efren Abueg, Rogelio Ordonez, and Elmer Ordonez along with the writing workshop’s faculty staff. “The number of workshop applicants for this year is record-breaking. There were many well-written entires. Unfortunately, we only have 15 slots for the workshop,” says Dr. Jimmuel Naval, chairperson of the Department of Filipino and Philippine Literature (Departamento ng Filipino at Panitikang Pilipino, DFPP) of the University of the Philippines, and workshop director. “From more than 100 submissions, many came from outside of Metro Manila. Some came all the way from Cagayan de Oro and Davao, Iloilo and Negros, Bikol and Northern Luzon,” adds Professor Reuel Molina Aguila, workshop director.